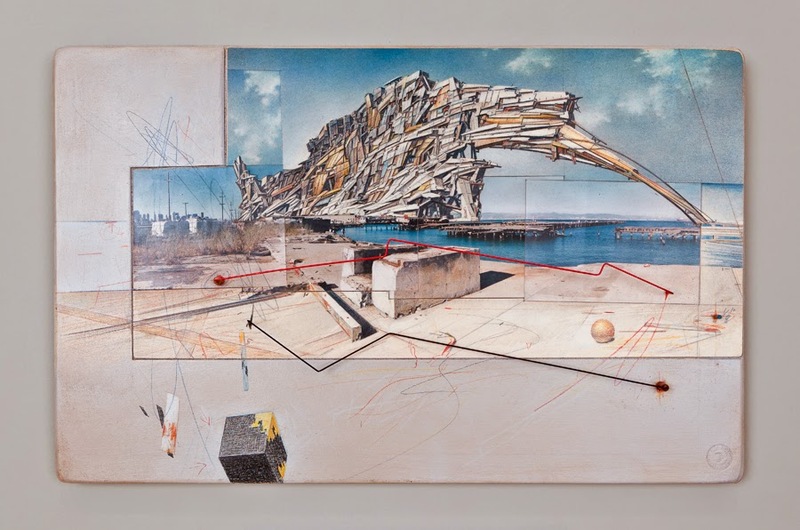 Architect is an insistent title for a show of Lebbeus Woods' work at the Drawing Center (through June 15), since he was never overly concerned with practical environments. He was trained in architecture and engineering, and taught at the Cooper Union, although apparently he never received his architectural license in New York. More importantly, his fantastic creations are often at odds with human use, evocative of the results of natural disasters such as earthquakes, tsunamis, or landslides. In all of the works in the show, hardly a person is depicted, and only then seemingly for scale. Then again, his recalcitrance at designing functional buildings helped allow him to expound on his vivid, sometimes terrifying imagination. 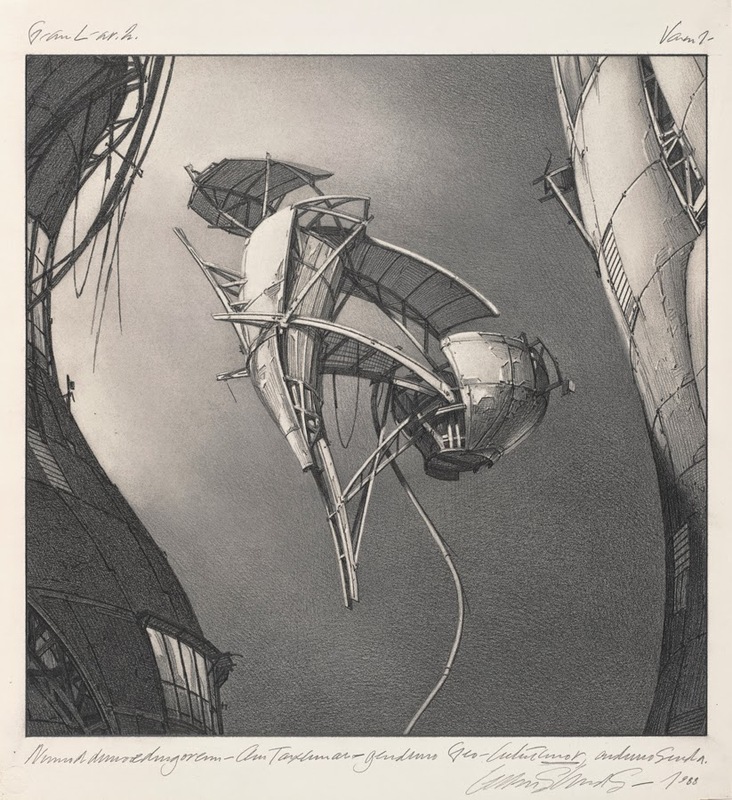 His obsessive renderings at times recall steampunk inventions, or the literature of writers such as Jules Verne or contemporary sci-fi visionary China Miéville. They may mash together the built and organic worlds, often depicting what feels like a post-apocalyptic scape in which the machines and buildings regenerated and rose to life without, or by ingesting, humans. Many of Woods' designs looked to have accreted, or collapsed from once stable positions. Structures arc and soar away from the earth, or appear to have bubbled up from magma and cooled into edifices. His oeuvre is most reminiscent of the genre of sci-fi film. In fact, one of his designs influenced Terry Gilliam's 12 Monkeys enough to garner Woods a settlement. And Woods, who passed away in 2012, consulted as a designer for Alien 3. It's a shame that he never pursued a full-blown career in scenic design, where his creations could have been "built" and found immortality through CGI (bringing to mind films such as the Star Wars prequels, John Carter, and even Battleship). Never mind—they exist in his meticulous graphic work, models, and obsessive postcard-sized notebooks, fertile source material for dreams and nightmares.